Virtually everyone reading this will, at some point in their lives, have experienced the sadness that comes with losing a beloved pet. In the case of a working animal, like a renowned police dog, the death of an older animal can hit extra hard — because it also involves the knowledge that you’ll have to train its successor to fill its shoes (or, well, paws) going forward. In China, scientists from southwest China’s Yunnan Province have possibly gotten around this second issue by launching a program to clone a particularly skilled police sniffer dog. The genetics of the dog described as the “Sherlock Holmes of police dogs” (presumably meaning that it’s great at hunting for evidence, rather than possessing a morphine habit and penchant for smoking pipes) will live on in mass-produced form. According to Chinese state media, the project is already paying off. Beijing-based Sinogene Biotechnology Company and the Yunnan Agricultural University this week announced the successful cloning of the police sniffer dog in question. The clone, named Kunxun, is already three months old. 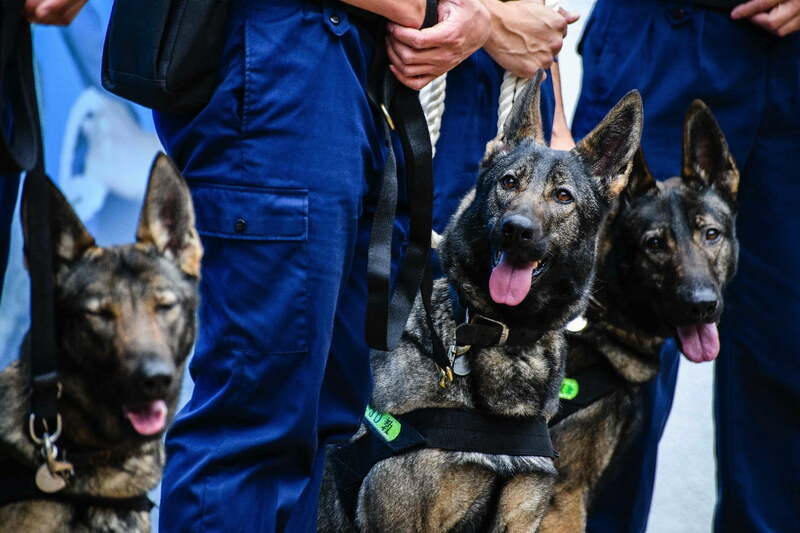 It is the first step in a plan aimed at “volume production” of similarly cloned police dogs that would presumably lead to reduced training times. The work is supported by the Ministry of Public Security. Kunxun will now go through the necessary drug detection, crowd control, and evidence searching training. At around 10 months old, the dog will then graduate to the level of official police dog. Training of a police dog usually takes around five years to complete, a report claims. Police dogs are always a risky investment, since there is no guarantee that a dog will take to the work as hoped for. By cloning a successful police dog the idea is that some of this risk may be mitigated. As futuristic as the idea of cloning dogs may be, this isn’t unprecedented. The world’s first cloned dog was created by scientists in South Korea in 2005. Since then, cloning has been used for both official and consumer purposes. One of the most dystopian and Black Mirror-like of these scenarios was the revelation by singer Barbra Streisand that she keeps the same pet pooch by cloning it over and over again.